An authoritative piece in the Indie of all places explains why (a) a consensus of economists has proven disastrously wrong on recent events and (b) why they're all so far off the mark about Brexit, which won't bring Armageddon after all. We knew this of course - as Establishment body after Establishment body pronounced doom and despair, from the IMF to the IFS, but the clincher was a chain letter to the newspapers from a group of 'eminent economists' - that sealed it. They had to be wrong, just as they were about the Euro in 1999 and as they were about the world economy in 2008. Still, it's nice to know they're all spouting bollox. And the Egregious Mme Lagarde of the IMF, who, as Wetherspoons is pointing out to its customers, is personally facing a lengthy jail sentence for a €400m fraud, is also trashed in the Indie piece. 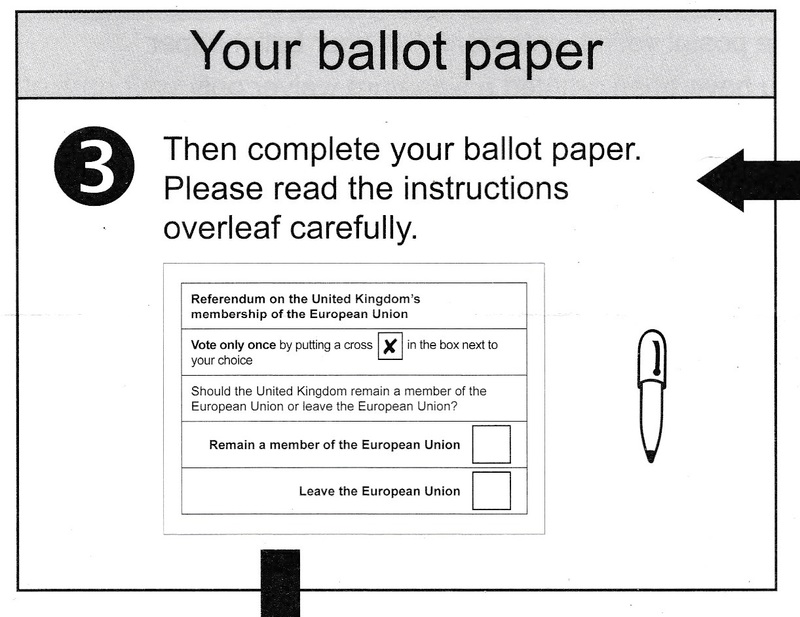 Are Common Purpose members behind EU Referendum Fraud? 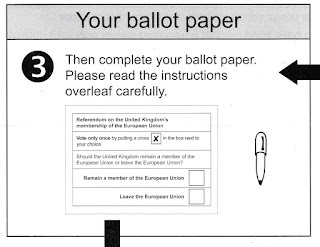 By now most of you will have seen the fraudulent and corrupt postal ballot papers, with a clear visual instruction to vote 'Remain'. I reproduce below the corrupt version, now known to have been issued by several councils, and the neutral version, which I myself received from the London borough in which I am registered to vote. Firstly, this is not just a random error. If it were random, there would be a more ambiguous and mixed placement of the hand and pen. Secondly, it is highly unlikely that politicians - local councillors or party officials - were behind this. 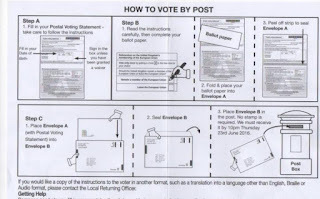 Politicians are excluded from electoral processes, which are in practice managed by local council officers. Up until now, all parties have trusted council officials to conduct elections freely and fairly. 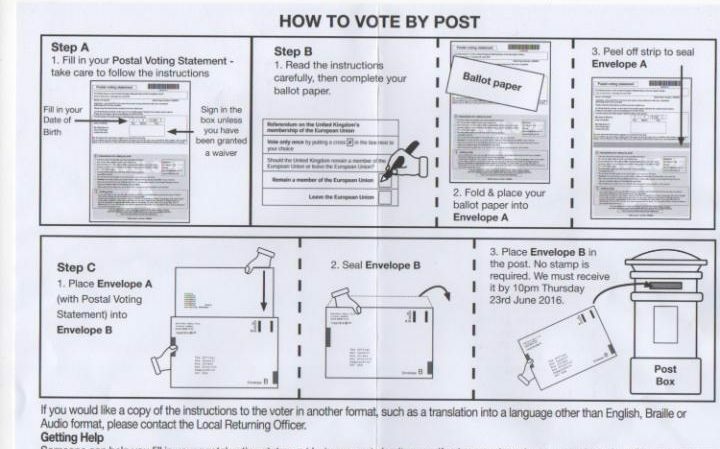 Thirdly, the councils where this attempted election fraud is now know to have taken place are also councils suspected of harbouring significant numbers of Common Purpose members amongst their permanent officials. We need evidence, of course, before we can be sure, but not only should there be a full police enquiry but all those officials engaged in the production of election material must be vetted for Common Purpose membership and any evidence of a conspiracy between them secured.